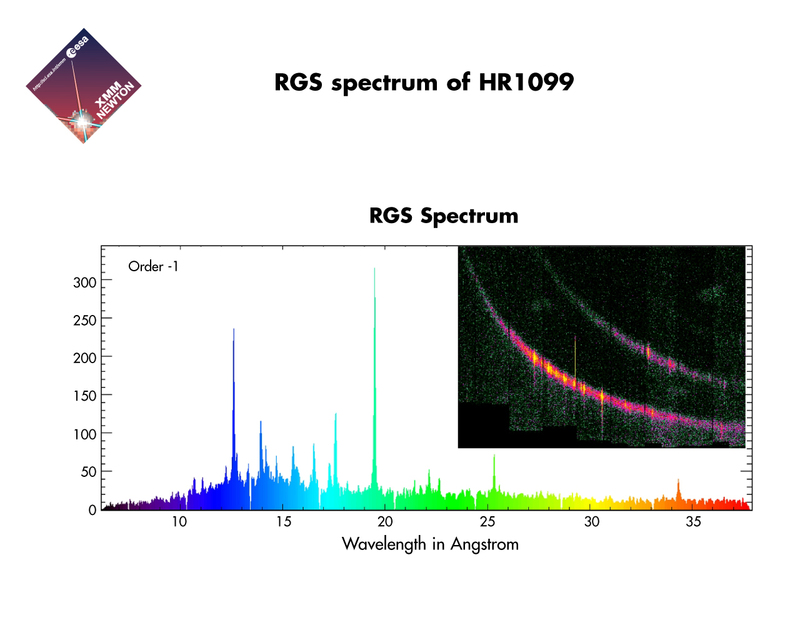 RGS spectrum of the star known as HR1099. 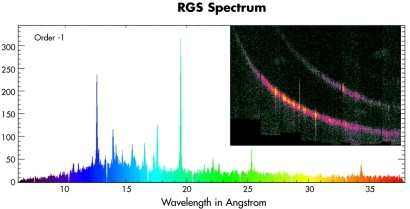 The spectrum illustrates the way the RGS works; it decomposes X-ray 'light' into its components, like a prism does with visible light. The inserted image shows what is referred to as a 'banana' image. The horizontal axis shows the detected X-ray photons (X-ray light particles) plotted as a function of the position on the detector (strip of nine CCDs) and as a function of the energy of the photons, as determined by the CCDs, along the vertical axis.